Pepper loaches are active fish and are out all the time,either digging,cleaning,or just chilling.I keep them in a heavily planted 35 gallon with:2 African Brown... (more) Catfish Lover \"The Expert In Anything Catfish\"
The Peppered Loach is one of those cute but shy burrowing loaches, that will quickly disappear! The Peppered Loach Lepidocephalichthys guntea is absolutely a wonderful looking fish. This is a moderately sized loach that can grow to between 4 to 6 inches (10 - 15 cm) in the wild, but will usually stay smaller in the aquarium. Its form is long and cylindrical, almost eel-like. Being quite timid, if it is frightened it will disappear quite quickly, wiggling into the substrate. This loach has a rather grayish or yellowish body color with a paler belly. There is a light horizontal stripe running the length of the body with various sized blotches and specks above and below it. There are also as numerous dark specks on the dorsal and tail fin. All this splotching and speckling gives rise to a rather "peppered" looking fish, as its common name implies. Other common names it is known by are Guntea loach, derived from its scientific description, Peppered Dojo Loach, reflecting its similar shape and behaviors to those of the popular Dojo Loach Misgurnus anguillicaudatus, and Scavenger Loach. Being quite shy, it likes to burrow into the substrate to hide. It will use the first spine on its dorsal fin to help dig itself in. It truly is a Scavenger Loach, as it also likes to root out various worms and other foods it can find buried. It will quite literally take mouthfuls of the substrate and filter them through its gills for food morsels. Provide a soft substrate of sand or fine gravel and have a good filter for the detritus they stir up. They are equipped to deal with adverse conditions however. These are one of the many Cobitidae species that have a unique intestine that can act as a respiratory organ. They can dart to the surface to gulp air. This is indicative of their coping ability during dry periods in their natural habitat. The water can become sluggish or stagnant, often taken over by macrophytic algae blooms that result in depleted oxygen. So rather than using their gills, they will gulp surface air to breathe. The Peppered Loach is hardy and not difficult to keep as long as they have the right environment. They are most active at night and will retreat during the day, squeezing under the ornamentation. Wood and flat river type rocks work well. Plants are nice but be sure they are potted. This loach is peaceful with most tank mates, and is suitable to keep in a community environment with other peaceful fish. 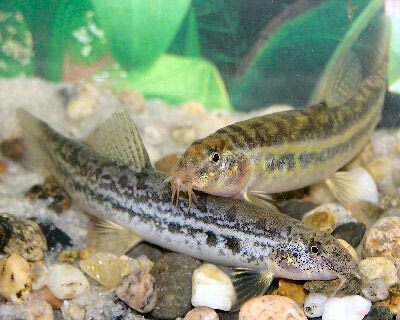 The Peppered Loach Lepidocephalichthys guntea was described by Hamilton in 1822. They are found in Asia: Pakistan, northern India, Bangladesh, Nepal, Myanmar, Thailand, and the Salween basin. This species is listed on the IUCN Red List as least concern (LC) because it has a wide distribution and no identified threats. This fish is used as a food fish, eaten fresh and dried. Other common names they are known by include Guntea loach, Peppered Dojo Loach, and Scavenger Loach. They inhabit slow moving and sluggish waters of streams as well as calm waters of swamps and flooded areas. Habitats change greatly depending on season. During monsoon season the water becomes clear and more fast flowing and during the dry seasons. As the water becomes stagnant this loach will use its intestine as a supplementary breathing organ to gulp air from the atmosphere. Most commonly they are found in shallow, slow-moving sections of streams or calm habitats such as swamps, oxbows, backwaters and paddy fields. These are often heavily-vegetated or littered with submerged roots, branches and leaf litter, with substrates composed of soft mud or silt. They feed by sifting the substrata through their gills, extracting insect larvae, small crustaceans, and other micro foods. The Peppered Loach is a medium sized loach that can get up to 4 - 6" (10 - 15 cm) in the wild, though they are usually smaller in the aquarium. They generally have a life span of about 10 - 12 years. Its body is long and cylindrical and has a rather grayish yellow body color that is paler on the belly. A light horizontal stripe runs from its nose back to the base of its tail with a series of dark blotches above and below the length of the stripe. This gives it a rather 'peppered' look. There are also numerous small dark spots on the dorsal and tail fin. It also has a two-pronged spine under the eye and four pairs of barbels. There are color variartions depending on the region they are from. Size of fish - inches: 5.9 inches (15.01 cm) - These fish are can reach up to about 6" (15 cm) in the wild, but are normally about 4 inches (10 cm) in the aquarium. Since they are omnivorous, the Peppered Loach is not a picky eater. In nature this loach feeds primarily on insect larvae, small crustaceans, and other micro foods. But in the aquarium it will generally eat all kinds of live foods, sinking pelleted and tablet foods, flakes, and algae. They like frozen foods as well. To keep a good balance give them a high quality flake or tablet food everyday. Feed mosquito larvae and brine shrimp (either live or frozen), tubifex, daphnia, and some vegetable foods such as algae wafers. Tablet / Pellet: Yes - As long as it sinks. Feeding Frequency: Several feedings per day - Make sure food makes it to the bottom for them to feed. The Peppered Loach is mostly a bottom dweller. This fish need at least a medium sized aquarium of 20 gallons or more. Never introduce this loach into a biological immature setup as these fish require pristine water. They do best in a soft to medium water with subdued lighting. They need good water movement that provides plenty of oxygenation. An undergravel filter is a great choice for these fish as it creates high oxygen through out the tank as well as reducing the waste. Adding a canister filter or powerheads to the setup will make the proper current for this loach. The decor with this fish is really up to personal taste. Because they are constantly scavenging for tidbits and burying themselves in the substrate, use a sand or fine gravel that does not have sharp edges. If the tank is to resemble its natural habitat, a lot of smooth water-worn large rocks and stones can be scattered throughout. A couple pieces of driftwood and some twisted roots can make places for retreat. Be sure to provide hardy plants with the roots protected. These loaches are very inquisitive and like to explore so make sure to have a lot of caves and crevices. These fish can and will jump out of the tank if given the chance so make sure to have a tight fitting cover. A peaceful community fish, they get along well with other non-aggressive tank mates. They are quite lively and active, especially in the evening. They will scavenge about the substrate for tidbits of food and love to dig and burrow. These fish do best if they are kept in groups of 4 or more of their own kind. Keeping other groups of schooling fish that inhabit the upper portions of the tank will help make this loach less shy. In the wild, the presence of other fish is a sign that there is no danger near. Mature females are normally larger and heavier then males and have spots on the flanks as opposed to a dark strip. Mature males pectoral fins are enlarged with fused, thickened innermost rays forming the lamina circularis. The Peppered Loach have not yet been bred in the aquarium and they are not yet bred commercially. Thought to be a seasonal spawner. An outbreak of disease can often be limited to just one or a few fishes if you deal with it at an early stage. When keeping these sensitive types of fish, it is common to catch deteriorating water conditions and disease before other fish are affected. The best way to proactively prevent disease is to give your Peppered Loach the proper environment and give them a well balanced diet. The closer to their natural habitat the less stress the fish will have, making them healthier and happy. A stressed fish will is more likely to acquire disease. 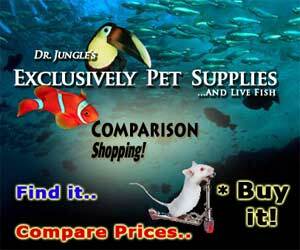 The Peppered Loach is occasionally available at pet stores or online. Pepper loaches are active fish and are out all the time,either digging,cleaning,or just chilling.I keep them in a heavily planted 35 gallon with:2 African Brown KnifeFish,1 Female Rainbow shark,1 Male Betta,1 Iberian ribbed newt,2 corydoras cats,1 synodontis cat,1 banjo cat,1 BN Pleco,1 Kuhli Loach,1 Yoyo loach and 1 silver dollar tetra,60 gallon filter,airstone,2-3 green cabomba,willow moss,hornwort and duckweed.I will soon be adding 2 Spotted Raphael Catfish.Overall a great fish and the alternative to weather loaches in a tropical aquarium.I reccomend keeping weather loaches first as they are very similar in food,behavior and care. This fish are so nice.My peppered loach clean my aquarium fallen food.Like all loach,when day hide in the cave. I bought one of these fish believing it was a dojo loach. I have kept dojos before and this little guy is more peaceful even than dojos! He is slightly more attractive in a small community tank. He exhibits the same mannerisms as similar loaches and is extremely mild-mannered.